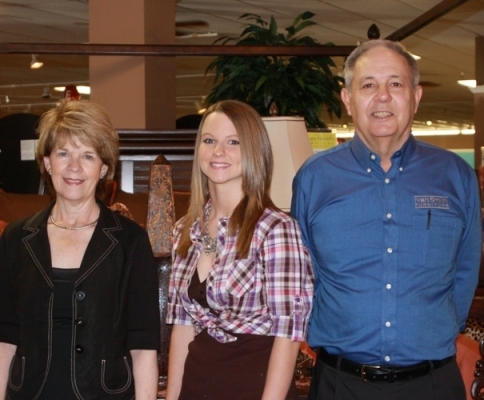 Gloria and Ivan Smith, Jr. stand with Allyssa Rolen, center, the first recipient of the Ivan Smith Furniture Scholarship at Southern Arkansas University. Rolen is a freshman accounting major from Taylor. The Smiths first met Allyssa at the grand opening of the new Ivan Smith Furniture location in Magnolia.